Some days, you just need to be a little silly—climb a tree, fly a kite or buy yourself something nice from one of the city’s best toy stores. When life gets a little too crazy, why not take a day for yourself and pretend to be a kid again? Here are just some of the best ways to act your shoe size instead of your age. Spend hours playing arcade games. 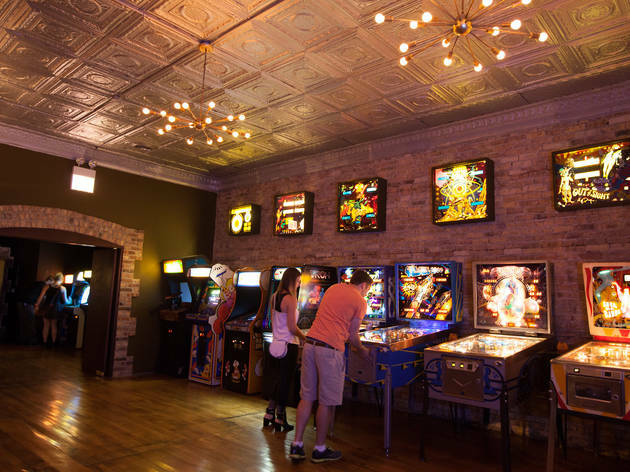 Head to Emporium, Logan Arcade or Replay Andersonville and you’ll have no trouble passing the time playing Frogger, Galaga or pinball. Remember bumper cars? Kick things up a notch with WhirlyBall, a bumper cars–esque activity that incorporates elements of lacrosse, hockey and basketball, but with a full cocktail and bar menu within reach. Eat an ice cream sundae as big as your head. No, really. Margie's Candies doesn’t mess around. You may even want to skip dinner for this one. Go rock climbing. Indoors. Spots like Brooklyn Boulders offer classes for beginners and advanced climbers alike. Go ahead. Get on that Ferris wheel. The new Navy Pier Ferris wheel is actually pretty damn cool. After you take a spin, you may as well treat yourself to a cone from the Original Rainbow Cone stand. Go look at puppies, kittens or even sweet, dumb little goldlfish at one of the city’s best pet stores. You simply cannot be sad when you’re in the pet store. Play at the Museum of Science and Industry and explore an old German submarine or check out the vintage diesel-electric train. Take an art class, like one of the many offered at Lillstreet Art Center, whether you want to practice your drawing and painting or feel like picking up a camera. Hang out at Rotofugi and drool over over all the weird, quirky and even designer toys, whether you want a Star Wars collectible or a strange little plush creature. Refuel at Wormhole and reminisce about Back to the Future, the Gremlins and every other great thing from the ’80s. Feel the wind in your hair on a speeding boat tour like the one offered by Seadog. I don’t care how old you are—bouncing over the water in a little speedboat is bound to make you smile (unless you get seasick, in which case, that’s a bummer). Get the mac and cheese. You know you want to. If you’re worried your friends will call you out for eating like a teenager, choose from one of these fancier mac and cheese dishes at some of the city’s best restaurants. Make the best sandcastle you can make and spare no expense. Seriously. Get out the buckets, the shovels, maybe some toy flags and make everyone else at the beach jealous. Start a ping-pong tournament (why will no one do this with me?) at SPiN or Happy Village. There’s always bowling. 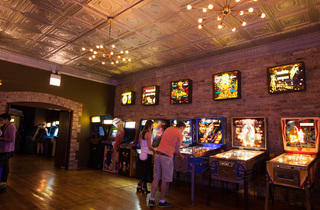 Hit up Fireside Bowl for a good dive or get fancy-retro at Kings Bowl Lincoln Park. Laura is editor for Time Out Chicago. She loves modern vintage things. That’s why her favorite drink and her coffee table are both sidecars.